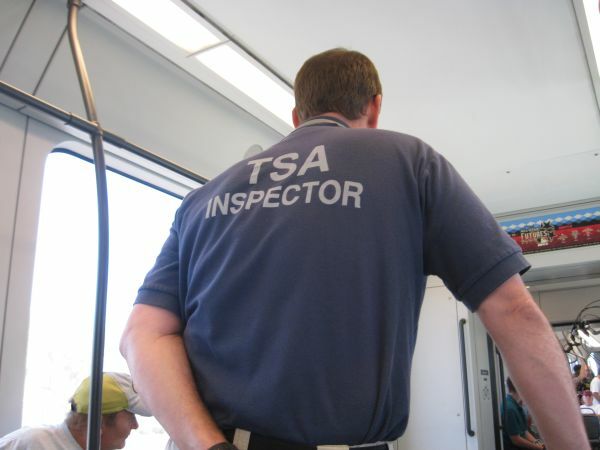 TSA is an American word that means Gestapo in German. 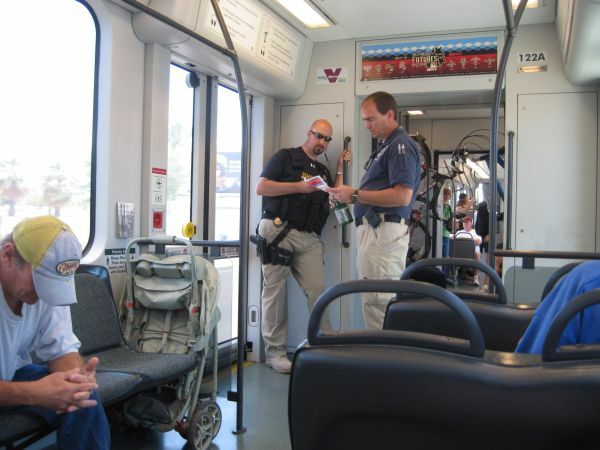 When I got on the light rail train at the Sycamore & Main Station in Mesa I was a big scared because there were maybe 10 police thugs milling around the platform. 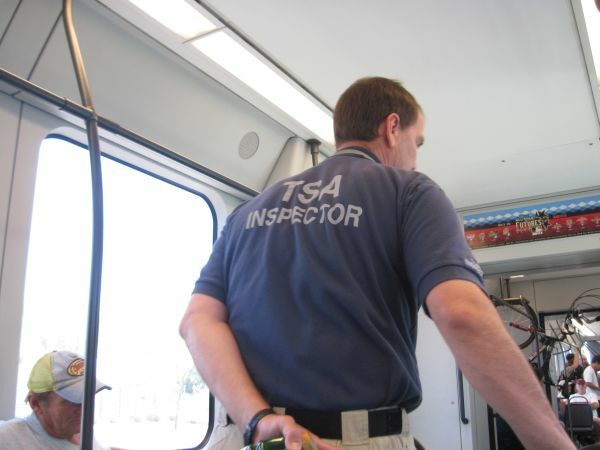 I figured maybe they were probably violating somebody's rights. 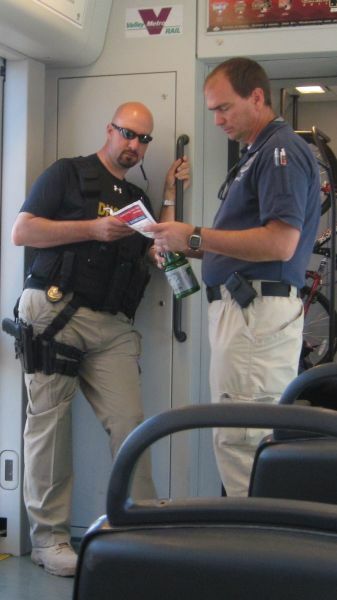 When I got on the train and heard people talking it sounded like all these jack booted police thugs were TSA and Homeland Security thugs patrolling the light rail for some silly All Star Games that are in Phoenix this week. There were two of these jackbooted police thugs in the car I was in. 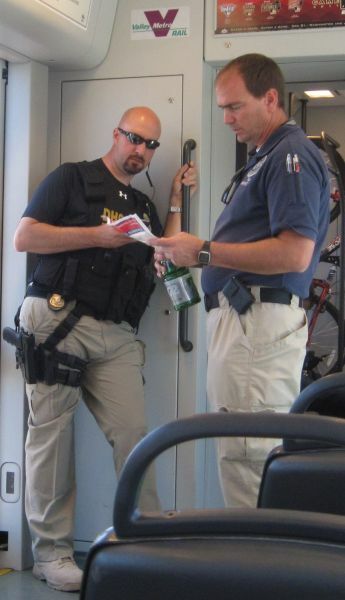 As with most cops there are two sets of rules, one for all of us serfs to follow and of course those same rules don't apply to the royal king's men from Homeland Security. 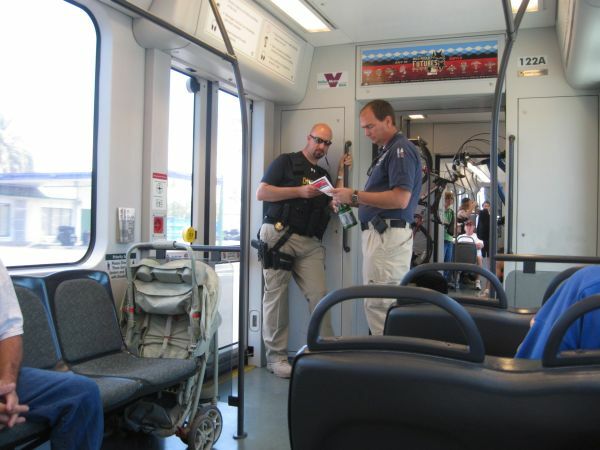 In my car the TSA thug was openly violating the law which makes it illegal to eat or drink on the light rail cars.